He has an MA and MPhil in linguistics from the CUNY Graduate Center and is now completing his doctorate. He currently works as Assistant Professor in the MATESOL program at the New School, New York where he hopes his own experiences can help a future generation of teachers make a better world and fewer mistakes. His research interests include second language acquisition, sociolinguistics, corpus linguistics, intercultural communication, language and power, and the interaction between these and other linguistic phenomena. Lubie works in the position of Professor of English and Applied Linguistics at NYC College of Technology (CUNY), Department of English. She is the coordinator of academic ESOL program, director of the ESOL Language Lab and chair of the college-wide ESOL Task Force. 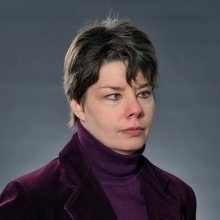 She has taught ESL courses (all levels), second language writing, composition and rhetoric courses across CUNY, as well as graduate courses in applied linguistics and TESOL at Hunter College, New School University, and Long Island University. She has also presented at conferences and symposia in the USA and abroad. With her educational background in literature, theoretical and applied linguistics, and her long experience teaching ESOL, composition and linguistics, she strives to both build bridges among these disciplines and cross borders in research. Her current research interests are related to college writing and composition studies, classroom methodologies of teaching writing, second language acquisition, genre acquisition and genre transfer. She has published papers, reviews, and handbooks, and has recently edited, and authored a number of essays in the college textbook Urban Reader for College Writers.